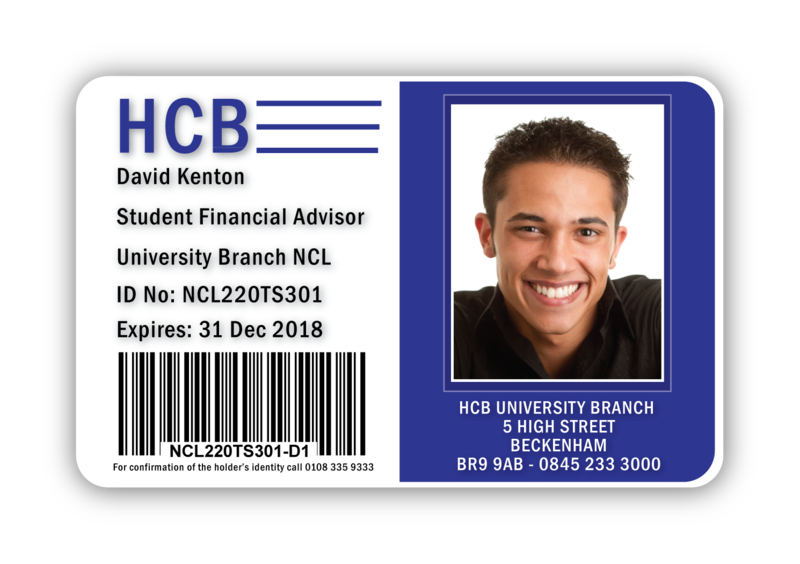 We use the very latest ID card printing technology to ensure you get the very best available quality for your particular ID Card requirements. 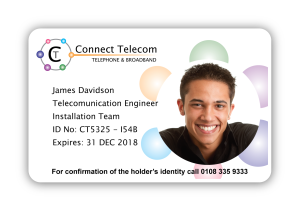 Strict quality control ensures we match your corporate colours or design and we always provide a proof before we print your ID Cards. The plastic ID Cards we use are manufactured to the ISO standard size and thickness, the same as credit cards and the new style UK Driving licence. Fast Service . . . 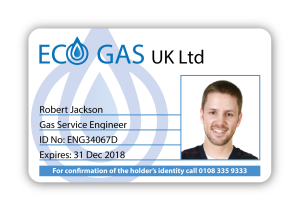 The data we print onto the plastic cards is ‘subsurface’, under an invisible clear resin coating to protect it from wear & tear and to make it more secure. Printing vibrant colour logos and pictures with text in a variety of styles and fonts. Full edge to edge printing, metallic colours, barcodes, magnetic strip and signature panels. The minimum quantity for our machine printing is just ‘one’ card. No Minimum Quantity . 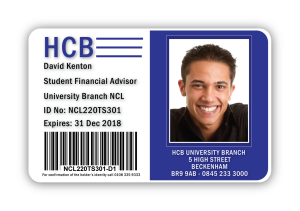 . .
We also supply ID Card pouches where the photograph is placed onto the card and the clear cover is sealed with a desktop laminator or by a simple clear self adhesive cover. We can also produce thinner cards for promotional use and for general information cards and membership cards. Whether you require full card management or just our card personalisation service we are your ID Card specialists.